Bonnie Joyce Martin Bohanon, 78, after a long illness, passed away on Tuesday, February 5, 2019 at the Moberly Nursing and Rehab. She was born in 1940 in Renick, Missouri, to Andrew Dickerson Martin and Ethel Fern UtterbackMartin. She loved her family, mother and father, sister, aunts and uncles, cousins, nieces and nephews. She told stories about family visits, events and reunions. When talking about cousins, never failed to remind us that some were double cousins, sisters married brothers, and she felt that there was a special bond between them. Early in her life, the family moved to a farm located on Route NN just east of the New Hope United Methodist Church where she attended services and social events in her youth with her aunt and uncle, Cecil and Jimmy Winn, and their children. She completed all twelve years of her early education in the Renick School System graduating valedictorian of the class of 1958. Later attended Moberly Junior College, University of Missouri at St. Louis, and graduated from the College of St. Elizabeth in Convent Station, NJ, with a double degree in business and English. She married her life-long mate, Jimmy Dale Bohanon, on April 27, 1960 in Moberly. The two met while he worked as a lineman and she as a telephone operator for Southwestern Bell Telephone Company in Moberly. Moberly continued to be her home for the first year of her marriage. Following her marriage and the birth of her first son, she became a stay at home mom thinking it would be best for the children’s development. When her youngest son was around four years old, she decided it was time for her to go back to work. First job was modeling and after a couple of assignments decided to look for other employment. Next job was working for CENREL, a St Louis non profit that was part of the Comprehensive School Mathematics Program that developed Elementary and High School mathematics curricula. Next working for the Superintendent of the University City School System and later becoming the secretary for the Director of the University City Alternative High School. From there she worked for Maxx Span Reality, a New Jersey realtor, later becoming a real estate agent. Worked for AT&T Bell Labs in Murray Hill, New Jersey, and AT&T Engineering Department in Kansas City, promoted to management. Accepted a manager’s position at AT&T Long Lines Headquarters in Bedminster, New Jersey. After retiring from AT&T, she helped form and run Bohanon Financial Services, Inc., a New Jersey Corporation, for 15 years. The business was sold in 2005. Activities included belonging to 4H, showing farm animals and winning some awards, won a cookie contest and a speaking contest. She played golf after learning to play at the sand-greens course in Moberly. Took a couple of golfing vacations in Pennsylvania and Florida. Participated in Outward Bound with other University City School staff and teachers. A member of the National Historical Society and the Randolph County Historical Society. She loved horses, and her older sister Louise bought one that she could ride with her cousins and friends. While working for the University City School System, as an outside activity, she leased a horse stables with a capacity of eight stalls which she later expanded to ten in north St. Louis County and ran it for about two years. She started with owning only one of the horses, Lighting Jack, but later ended up owning nine of them. She thought it would be a good idea to offer riding lessons for the local youth to build confidence and character. She taught horsemanship at Florissant Valley Junior College. A move to New Jersey ended the stables business. But, she took Lighting Jack with her and later allowed a young lady to use the gelding in her 4H activities. Lighting Jack was later give to a friend and shipped back to Missouri. She loved old things and collected antiques, sea shells, bottles, campaign buttons, books and other things that might seem odd to others. Loved antiquing, never found a chair or hat she didn’t like and ended up buying quite a few of them. She loved improvising; didn’t think it was necessary for all things to match; and preferred some of the old furniture that she purchased remain left untouched to some’s dismay. She was adventuresome. The family moved many times for employment. There were no complaints from the family all looked upon the move as a new adventure. She read books, magazines and local newspapers and upon arrival was the first one to explore the new location for antique shops, consignment shops, old homes, historical places and shopping areas as well job opportunities. Her favorites were quaint shops located in out-of-the-way places. She found them. One day while sitting in Earl’s Steakhouse, she noticed a relic of a house across the street that she thought had class and someone needed to save it for posterity. The property on which the house sit had been sold, and the house was to be torn down. She decided to restore it herself. Making it her number one project, she moved it to land that she had purchased down the street. Later moving a second old house from South Old Highway 63 near Martin Lane to the land she purchased and attached the two houses. It took about fifteen years to complete the restoration project. At the time, she was living in New Jersey with her family. Due to the project once started, she spent most summers in Moberly which allowed her also to spend time with her mother, sister and sister’s family. The house was one of the first to be chosen as a Designated Historic Property in Moberly. Politically, she was an independent with heavy democratic leanings. 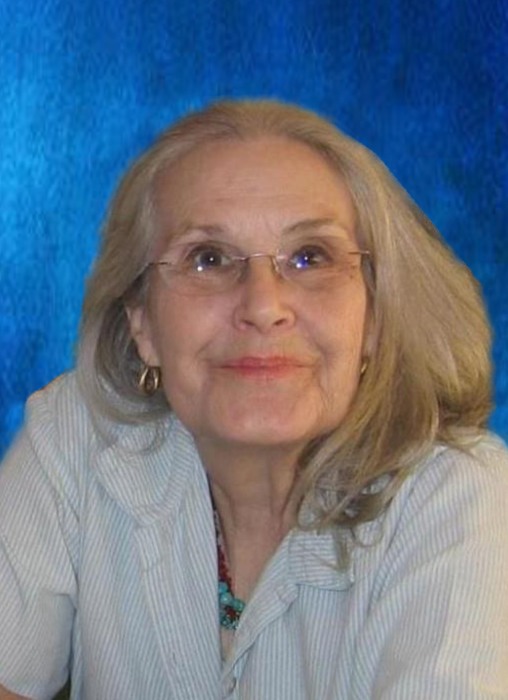 She was a supporter of George McGovern, 1972 Democratic Party presidential nominee, and was a delegate to the Missouri State Democratic Party Convention. Survivors include sons Malcolm Shawn (Sheila) Bohanon of Saylorsburg, PA, Michael Shannon (Deanne) Bohanon of Overland Park, KS, Grandchildren Jason Bohanon of Philadelphia, PA, Julie Joyce (Eddie) Schwarz of Saylorsburg, PA, Kevin Farrell, Catherine Marguerite (Ryan) Foshage of St. Charles, MO, Amanda Morgan Bohanon of Davis, CA, Brandon Bohanon of Rolla, MO, Great Grandchildren Tatum Bohanon of South New Jersey, Jessica Bohanon of South New Jersey, Gianna Bohanon of South New Jersey, Jackson Shane Bohanon of Saylorsburg, PA, aunt Hellen Utterback of Hannibal, MO, nieces, nephews, many cousins and many friends. Preceding Bonnie in death include her son Christian Shane Bohanon, mother Ethel Martin, father A. D. Martin, sister Louise Foster, brother-in-law Dennie Foster, niece Robin Wilmsmeyer and nephews Gary Wilmsmeyer and Randy Asher, Mother-in-law and Father-in-law Maxine and Howard Bohanon. Services celebrating Bonnie’s life were held at the 4th Street Theatre. Committal services will be held at a later date.